...... The base for this menu is simple CSS drop down menu based on unordered list. The menu provides easy navigation of complex nested structures with any number of levels. Hover over the menu and feel for yourself, the nifty effect of Lava Lamp. Qweas is providing links to jQuery CSS Menu Style 06 1.3 as a courtesy, and makes no representations regarding jQuery CSS Menu Style 06 or any other applications or any information related thereto. Any questions, complaints or claims regarding this application jQuery CSS Menu Style 06 1.3 must be directed to the appropriate software vendor. 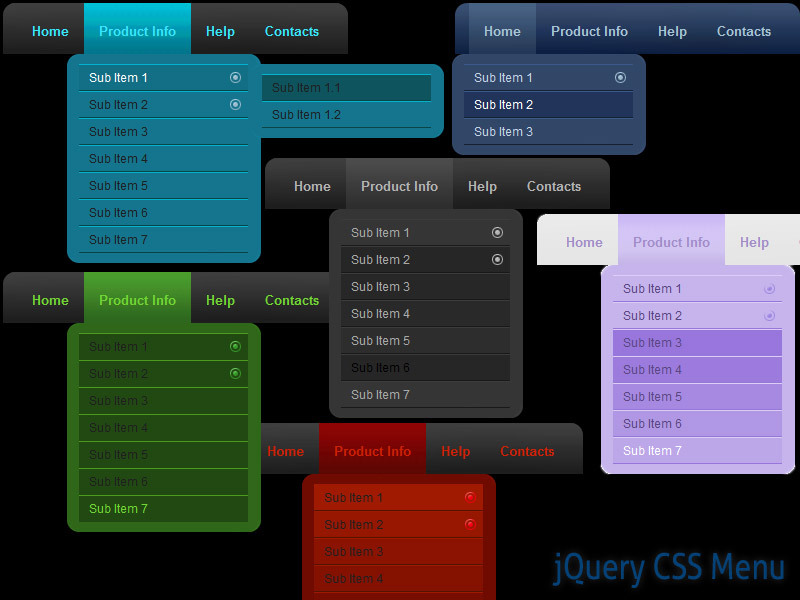 You may click the publisher link of jQuery CSS Menu Style 06 on the top of this page to get more details about the vendor.